The “Campaign 4 NY/NY” is an advocacy coalition endorsed by more than 300 organizations, which was created to call upon Governor Andrew Cuomo to launch a Statewide supportive housing program that would yield 35,000 new units by partnering and sharing costs with the City and other localities. Supportive housing combines affordable housing with on-site support services geared towards assisting chronically homeless individuals and families, such as primary and psychiatric care and other holistic care services geared towards the specific needs of the supportive housing population. Since supportive housing first gained momentum in New York City in the 1970s and 1980s, more than 32,000 units have been created and continue to exist in perpetuity. 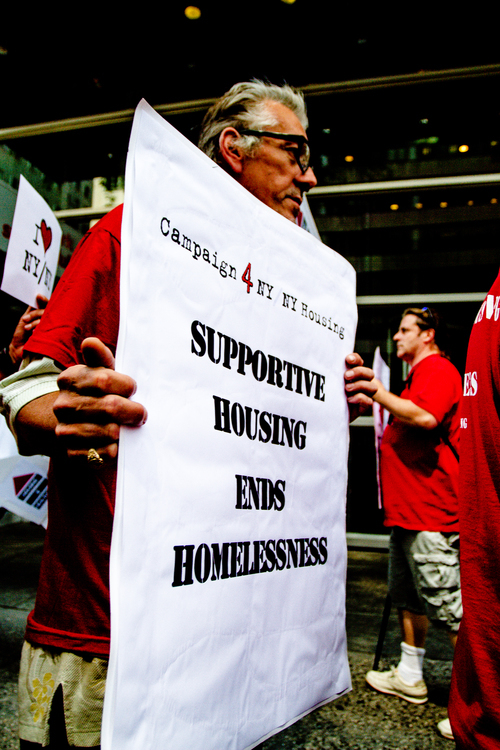 Supportive housing has proven to successfully keep many of its tenants from returning to their formerly homeless position by providing such tenants with a roof to live under while they utilize the on-site support services to overcome the mental, physical, and emotional issues that hinder their ability to live independently. In April of 2016, the State’s budget for fiscal year 2017 was released, which dedicates $20 billion over the course of several years to affordable housing and homelessness initiatives and programs. The budget provides for an initial $2 billion to fund the construction of 6,000 supportive housing units, but it does not include any information on how the $2 billion are to be used, such as where the housing will be built. Instead, the $2 billion will only be released once the details have been worked out and memorialized in a signed memorandum of understanding, or MOU, between Governor Cuomo and top legislative officials. With the legislative session due to conclude in less than a month and no MOU in sight, the Campaign 4 NY/NY coalition has ramped up its targeted efforts to pressure Governor Cuomo to release the funds without any further delay.